BATTLE GROUND — They certainly look the part of state championship contenders. At the finish line Thursday, it looked like the Camas Papermakers were holding a practice run. Nope, this was the real thing at the District 4 Class 4A boys cross country championships. 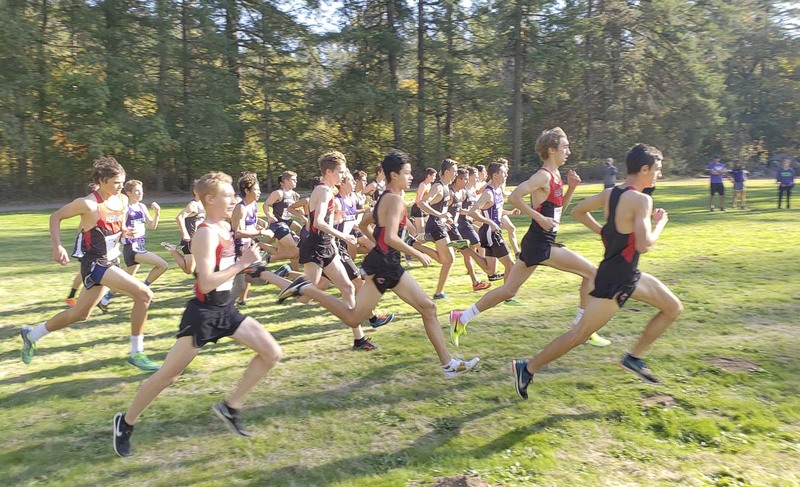 It just looked like an all-Camas event at the finish line because the Papermakers finished in the first five spots. Yes, a perfect 1-2-3-4-5 finish for the Papermakers for a perfect score of 15 to win the district title at Lewisville Park. Daniel Maton won his second consecutive individual title, and he was followed by Jackson Lyne, Sam Geiger, Spencer Twyman, and Luc Utheza. A few minutes later, the Camas girls had five athletes finish in the top eight to claim that team title. Not this day, though. He attributed that to a teammate. 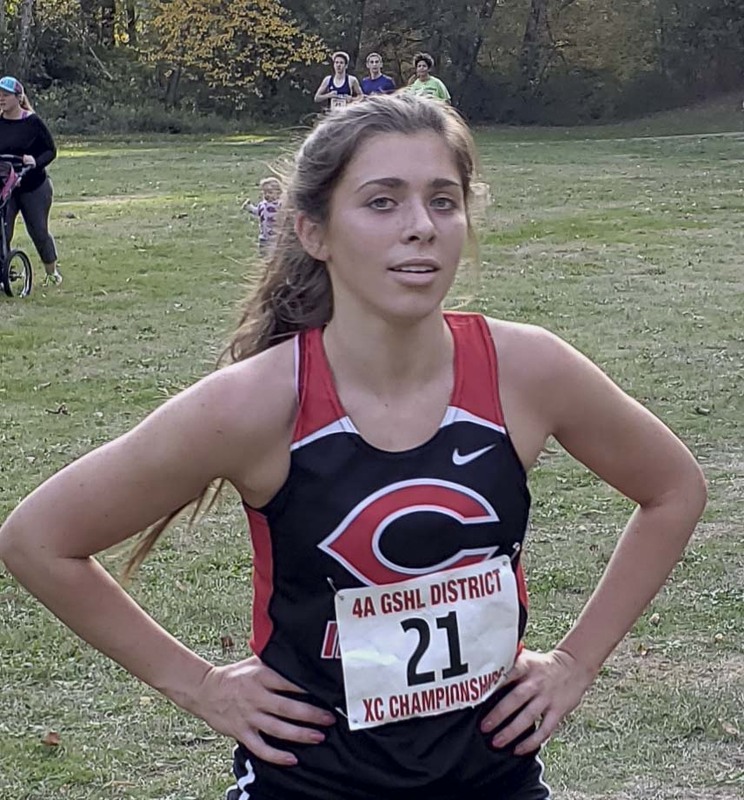 Cross country is a team sport, too, and the strategy was put into place before the meet, and then the Papermakers executed it. Lyne was the one to set the pace, not Maton. 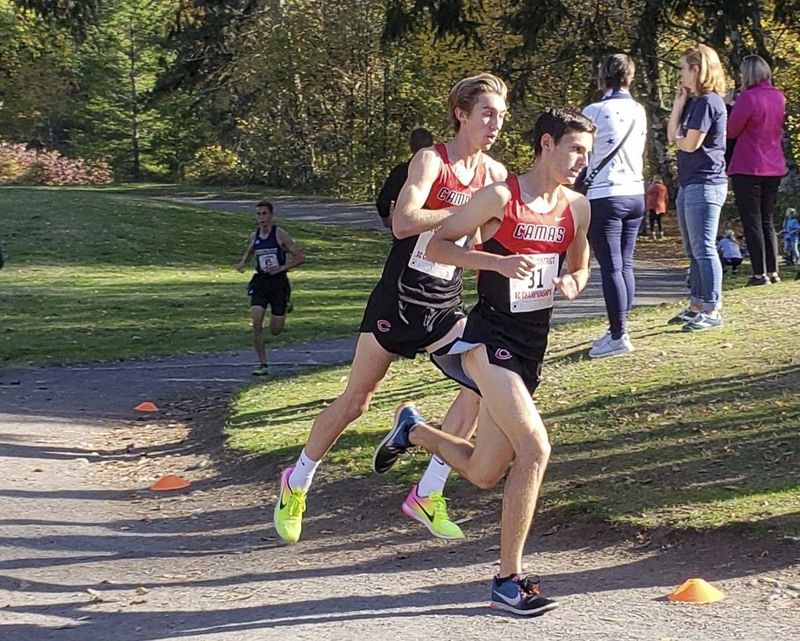 So much better, in fact, that even if he was racing a bit slower throughout the fall, he eclipsed 17 seconds from his district title time from a year ago. He completed the 5,000-meter Lewisville course in 15 minutes, 53 seconds. Plus, he said, racing out front will help Lyne in the long run, he said. Can’t know what it’s like to lead a big race without, you know, leading a big race. Camas, Heritage, and Battle Ground will advance to bi-district on Oct. 27 as teams. The top 21 individuals also qualified for bi-district. From there, the top finishers go to state. Halle Jenkins pulled away from the pack to win the girls race in 18 minutes, 55 seconds. Plus that team title means something to all of the Papermakers. “I run for my team, because I want my team to do good,” Jenkins explained. Aspen Ashcraft finished second behind her teammate. She is already looking forward to bi-district and state. “Being perfectly honest, I could have pushed a lot better,” Ashcraft said, noting that a late-season training regimen took a bit out of her. Now, though, she is prepared for the stretch run of cross country. As far as team goals, well, in a way the Papermakers have exceeded expectations already. Skyview and Union will join the Camas girls at bi-district. The state meet is in Pasco on Nov. 3. Shun Yamaguchi of Mountain View won the Class 3A District 4 boys meet in Kelso on Thursday. Prairie won the boys team title. … Prairie also won the girls team title. Emily Phelps of Fort Vancouver won the individual crown. Kyle Radosevich of Ridgefield won the Class 2A Greater St. Helens League boys meet. Washougal won the team title. … Amelia Pullen of Washougal won the girls title. Hockinson edged Washougal for the team title. Earlier in the week, David Carrion of Seton Catholic won the Trico League boys title. Roselynn Martin and Natasha Lewis of La Center finished 1-2 in the girls race, leading the Wildcats to the team title.